Join us this week as we welcome award winning singer songwriter and international recording artist, Doreen Taylor. In December of 2017, Doreen made her very successful official Off Broadway debut in NYC benefitting the Oscar Hammerstein II Museum & Theatre Education Center. Doreen headlined the new docu-musical, "An Enchanted Evening: A Night with Oscar Hammerstein II" along with a special guest performance by Broadway's Davis Gaines (Phantom of the Opera, Sweeney Todd, Man of La Mancha). After receiving critical acclaim in its Philadelphia debut, this cutting edge, 90-minute "docu-musical" highlights Oscar's evolution to become one of the most important lyricists of all time. Proceeds will be donated to help save Highland Farm in Doylestown, PA. Oscar Hammerstein II moved to Highland Farm in Doylestown, PA in 1940 and over the next 19 years, the farm became the birthplace for timeless Rodgers and Hammerstein classics, including: Oklahoma!, South Pacific, Carousel, King and I, and Sound of Music. Will Hammerstein (Oscar Hammerstein's grandson) has proudly embraced this new production and is thrilled at the docu-musical's success of highlighting the honorable values and principles of which his grandfather embodied. "Doreen's talent and personal values make her a perfect torchbearer for this exemplary legacy [Oscar Hammerstein II]. I'm sure Oscar would be very pleased with the association." As Doreen joins us this week we will talk about her Broadway experiences along with her exciting upcoming future plans. Also get a behind the scenes look at her music, feature her latest songs, and ask her to share her message for the troops. 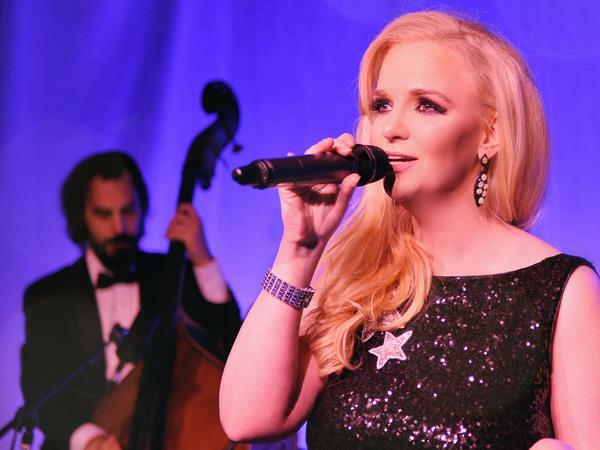 Please be sure to visit Doreen Taylor at http://www.doreentaylormusic.com and spread the word. Our message to the troops: WE do what we do, because YOU do what you do.